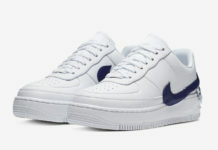 In May one of the more popular Nike Air Max releases of 2010 got a women’s colorway by way of the black, silver and violet Nike Air Max 24-7. 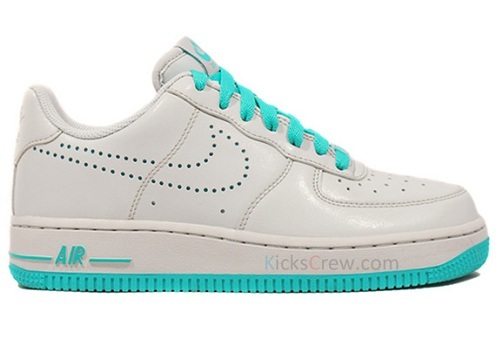 Today we bring you a women’s colorway of a more classic Nike design. 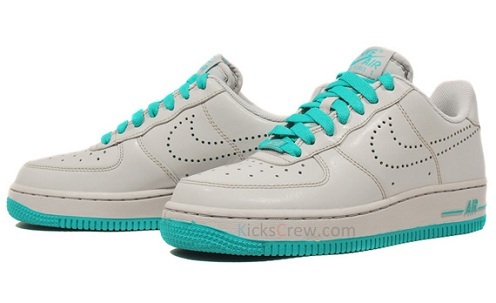 Pictured here is a women’s Nike Air Force 1 low pictured in a neutral grey colorway with teal highlights. 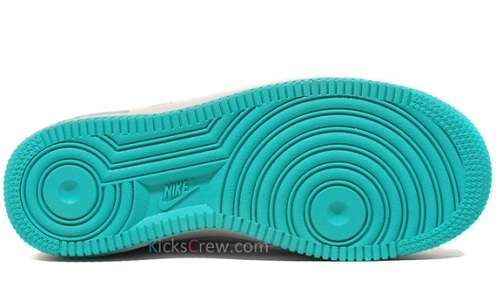 The teal accents come by way of the outsole, shoelaces and Nike Air Force 1 logo on the tongue. 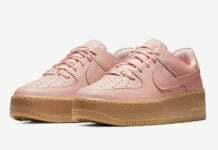 Moreover, the patented Nike swoosh on this release is perforated. 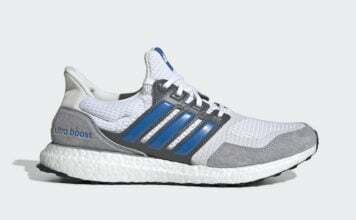 Look out for these to drop at select Nike retailers as they have already begun doing so online.